We provide an assortment of dermatology equipment that are suitable for use in diagnostic inspection as well as highly specialized surgical work. These equipment are manufactured using sophisticated technology and are acknowledged for enhanced efficiency and durability. Further, these are in strict adherence with international medical norms and offered by us at industry leading prices. Free working distance 120 mm. 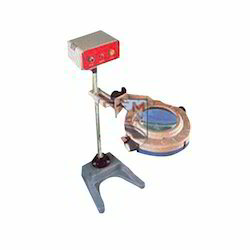 It is a travelling model and provides portability to Magnascope, on wheels, at the shop floor. Instrument stands on highly stable base having 4 arms with wheels at equal distance. Field size : 113 Sq. cm. free working distance : 120 mm. Field size (at 5X) : 33.15 sq. mm. 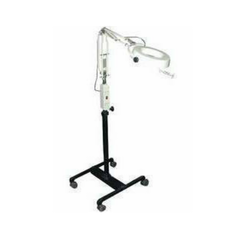 We provide dermatology equipment and dermatology medical equipment. Diagnostic inspection, in general as well as highly specialized surgical work (pre and post operative.) Hence,very essential for Op. Rooms and also useful in Outpatient Dept. (OPD). It is also useful for Inspection and accurate reading of prescriptions, vital medical/pharmaceutical information from medical items / packages, needles / syringes, etc., medical books/ research journals (especially references in very small print), etc. No strain to eyes / neck even if used continuously for some hours. Facility for simultaneous viewing by both eyes, enables stereoscopic (i.e., natural vision-like) viewing. Illumination area is shadow-free. No reflection glare or heat due to illumination Easily portable / hand - carrying convenience. Highly polished Magnifying glass (lens) : 145mm dia. 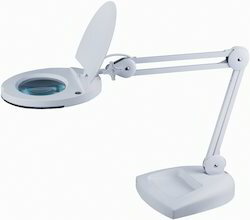 Magnitude (area) of Magnification : 6x Illumination : By 22W, 230V AC imported circular white light tube. Note Cleaning the Lens is essential. Looking for Dermatology Equipment ?